Eisenmann's quality is exceptional, making them the choice manufacture of all exhausts systems from Brabus, AMG, G-Power, Rieger, Porsche and other legendary German marques. If you want the ultimate exhaust for the ultimate driving machine you can't go wrong with an Eisenmann system! 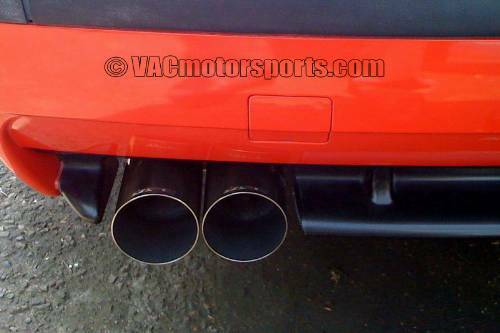 This E36 rear muffler has the dual polished 76mm (or optional larger size tips, the wild, aggressive looking 83mm** shown in our picture). Each tip is engraved with the Eisenmann logo and have a powerful-deep sound. Each system is a hand fabricated work of art. Available in either Sound Type: Sport (quieter) or Race (louder). The Sport passes Germany's strict TÜV standards if you are looking for a more refined sound level.